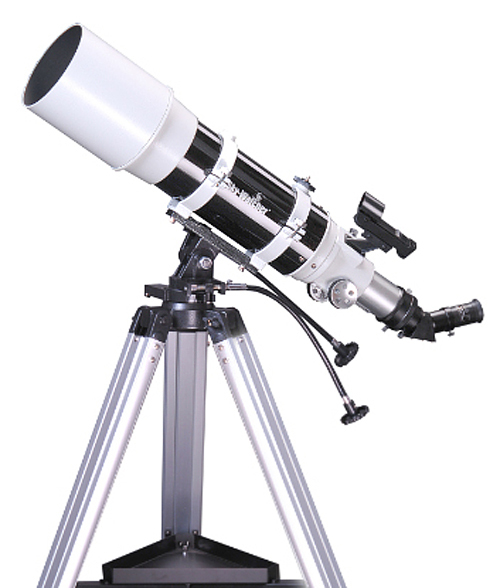 A high quality 120mm short tube, wide field refractor telescope on a very easy to use alt az telescope. 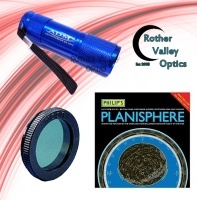 Ideal for both wide field astronomy and terrestrial viewing. Just got this telescope three days ago and have used it twice to view the night sky and once for cross country viewing. Looked at random stars in various sized lenses. Focusing was sharp and clear. I used 6mm, 9mm, 10mm, 25mm and 32mm. All crystal clear. Wonderful views of starfieilds with 25 and 35mm lenses. Had a close and lengthy look at Jupiter and it's moons. Used same lenses. Views once again clear and sharply focused. Cross country viewing was excellent. Images were bright and clear. Viewed areas about 25 - 30 miles away with excellent results. Tripod light but firm and sturdy. Sprayed a little grease onto slow motion controls and they are light and smooth to turn. Even in high magnification tripod and mount are firm and solid. Bought this particular scope to take in our caravan on holiday. Heading to dark skies in Skye and far north west of Scotland. Looking forward to using telescope there. Weather permitting!! !